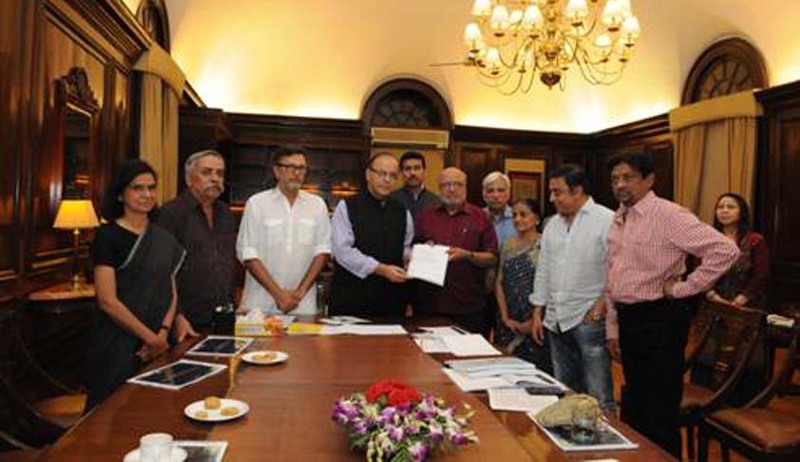 On 1st January 2016 in sync with the overarching vision of the Hon’ble Prime Minister of India, Shri Narendra Modi and Hon’ble Union Minister of Information & Broadcasting, Shri Arun Jaitley, to lay down a holistic framework for certification of films, a Committee was set up under the Chairmanship of Shri Shyam Benegal to lay down norms for film certification that take note of best practices in various parts of the world and give sufficient and adequate space for artistic and creative expression, lay down procedures and guidelines for the benefit of the CBFC Board to follow and examine staffing patterns with a view to recommending a framework that would provide efficient and transparent user friendly services. Other members of the Committee are Shri Kamal Hassan, Shri Rakeysh Om Prakash Mehra, Shri Piyush Pandey, Shri Goutam Ghose, Ms. Bhawana Somaaya, Ms. Nina Lath Gupta, MD, NFDC and Shri K. Sanjay Murthy, Joint Secretary (Films) as Member-Convenor. o When a film contains anything that contravenes the provisions of Section 5B (1) of the Cinematograph Act, 1952.
o When content in a film crosses the ceiling laid down in the highest category of certification. The applicant must specify the category of certification being sought and the target audience. o The certification by CBFC keeps within the rights and obligations as laid down in the Indian Constitution. The Highlights of the recommendations of the committee broadly cover the areas related to Film Certification Process and its simplification, Restructuring staffing pattern of Central & Regional censor advisory panels and Recertification of films for purposes of telecast on televisionand measures to preserve the identity of Indian Cinema. Regarding the categorisation of films, the committee recommends that it should be more specific and apart from U category, the UA Category can be broken up into further sub-categories – UA12+ & UA15+. The A category should also be sub-divided into A and AC (Adult with Caution) categories. The Certification of films shall be carried out in accordance with the Guidelines proposed for certification that have been split into three sections, with each section required to be read with the other two – General Guidelines, Issue Related Guidelines and Category Specific Guidelines. The committee has also made certain recommendations regarding the functioning of the board and has stated that the Board, including Chairman, should only play the role of a guiding mechanism for the CBFC, and not be involved in the day-to-day affairs of certification of films. The functions of the Board shall be confined to the duties defined in the existing CBFC rules, which inter alia include an annual review of CBFC work, submission of annual report to the government, review of public reactions to films, and periodic recommendations for revision of guidelines. Given these limited functions, the size of the Board should be compact with one member representing each Regional Office. Therefore, the total composition of the Board should not be more than nine members and one Chairman. Regarding the Regional Advisory Panel the committee has laid down the criteria for appointment. All nine regions will have advisory panels comprising persons who are acquainted with the languages being certified by that regional office. Women to have 50% representation on each Panel. Online submission of applications as well as simplification of forms and accompanying documentation. Recertification of a film for purposes of telecast on television or for any other purpose should be permitted. In order to preserve Indian Cinema, the committee recommends that every applicant be asked to deposit the Director’s Cut in the NFAI for preservation of Indian Cinema, instead of the certified version, in order to truly reflect the cinematic history of Indian cinema. Out-of-turn certification may be permitted for which the applicant would have to pay five times the fee that would have to be paid if the certification were done in the normal course. In the event that complaints are received by the Central Government, the same shall be referred to the CBFC. The Chairperson may, if he considers it necessary to do so, refer the film to a Revising Committee for examination once again, on account of alleged violation of Section 5B(1) of the Cinematograph Act, 1952. Issues relating to clearances to be obtained from the Animal Welfare Board under the Prevention of Cruelty to Animals Act. Issues relating to depiction of smoking in films wherein films are required to show a disclaimer in every scene that involves smoking, as per a directive from the Ministry of Health and Family Welfare. This has been agreed to by the Hon’ble Minister of Information & Broadcasting. The Committee shall give their recommendations on these issues by 20th June, 2016.